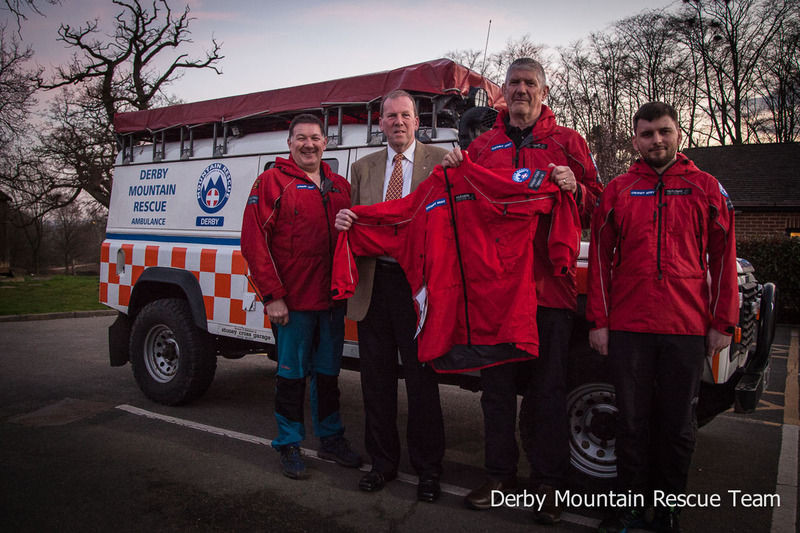 We'd like to thank all the members of the Rotary Club of Derby Mercia for the donation of thirteen new Páramo Waterproof jackets. Last week team members visited the club to say thank you, took with them some of the new jackets to show and spoke with members about the work of the team. The jacket donation comes after one of our members was invited to give a talk to the group, after which they asked for some donation options and chose to help us purchase this vital equipment. The jackets are worth around £3,000 which alleviates the fundraising burden on the team, allowing us to direct funds to other projects and resources. The jackets feature high pockets to allow them to be used with climbing harnesses, air vents to keep the wearer cool on long searches, and large hoods which can accommodate the wearing of climbing helmets while, of course, keeping the wearer dry! 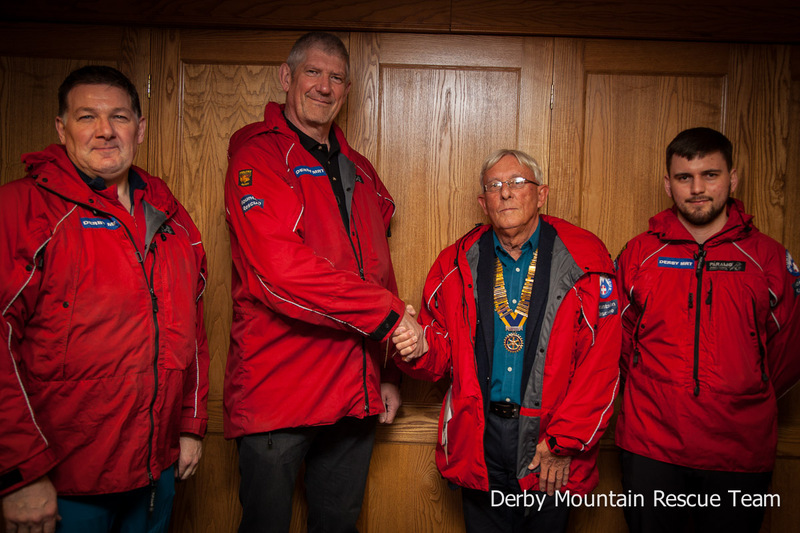 The Rotary Club of Derby Mercia are supporting Derby Mountain Rescue Team as one of their local charities and we look forward to working with them more in the future.